Last updated September 1st 2018. By booking a trip with On The Verandah, you agree to the following terms and conditions. We aim to be fair, reasonable and sympathetic in all our dealings with guests and to act always with integrity. We will meet all our legal and regulatory responsibilities. We aim to provide full and accurate information about our holidays. If there are changes we will tell you promptly. If something goes wrong, we will try to put it right. Our aim is to ensure that all guests are fully satisfied with our services. Is that you read thoroughly the information we send to you, particularly regarding your health, your flight selection and travel insurance. Guests under the age of 18 must be accompanied by a legal guardian who will be responsible for the care and supervision of the under 18 guest. We have no upper age limit on our trips but our trips can be physically demanding. Guests must ensure that they are suitably fit to allow participation and so as not to unreasonably affect the progress of the group. You may be required to provide a medical certificate. 1.2.1 Why might a MEDICAL CERTIFICATE be necessary? Because in the Kimberley, we operate in a remote location, hours from medical and specialist help. You need to be fit and healthy enough to participate in activities which could require ducking under branches, walking amongst spinifex, walking on boulders, slippery rocks and loose or uneven surfaces, climbing in and out of 4WD vehicles. The weather conditions can become unseasonal or extreme. Exposure to UV and glare can be high. Dehydration and heat stress is a risk. We sometimes spend long sessions away from toilets and creature comforts. For some people this can be problematic. You might be sleeping in a swag on the ground for 1 or 2 nights depending on your trip. Climbing out of a swag and a tent on the ground is problematic for some people. You need to be able to carry your back pack with your camera gear or art supplies and about 1kg of drinking water for the session. We often travel on dusty, rough, unsealed roads. Not all accommodation and not all vehicles are air-conditioned. Days can be long with pre-dawn starts. On our international trips you need to be of reasonable fitness so as not to hold up or affect the enjoyment of the group. 1.2.2 How do you know whether you need to provide a medical certificate? If you answer yes to Medical Question 1. below, you might need to have your doctor provide a medical certificate to show that you are fit to participate. If your answer is yes please call us on 0428 254 529 to discuss whether a certificate is necessary. If you proceed with the booking without disclosing potential medical issues, we reserve the right to cancel your participation. We respect your privacy and agree that your physician provides only the information that may be required by medical staff in the event of you needing emergency care during the trip. Are you, or have you been under the care of a physician in the last two years for any of the following conditions? If your answer is yes please call us on 0428 254 529 to discuss whether a certificate is necessary. During the enquiry and booking process we may have requested information from you regarding your health status. We will store this information only for what we consider to be a reasonable length of time after your tour with us. If there is a medical or legal claim we may be required to work with third parties or insurance companies and may be required to share your information. If there is an accident we may need to obtain from you data about your health conditions relating to any injury you may incur and work with insurance and claims management companies. We do everything possible to ensure a safe and enjoyable trip, however, all travel involves some degree of risk and comprehensive travel insurance is recommended for all guests. Travel insurance to cover for cancellation, curtailment and loss of luggage and personal effects is recommended for Kimberley trips. For international trips with us,travel insurance that provides cover against personal accident, death, medical expenses, emergency repatriation and personal liability, with a minimum coverage of US$200,000 is a MANDATORY requirement of your booking with us. Your policy must also cover cancellation, curtailment and loss of luggage and personal effects. We advise you to confirm with your insurer that your valuable items are covered and to what degree. We advise providing your insurer with an inventory of your valuables before you travel. By booking, you acknowledge that the nature of the trip is adventurous and participation involves a degree of personal risk. You will be visiting places where the geographical and climatic attributes present dangers and physical challenges greater than those present in our daily lives. We use information from government foreign departments and reports from our own contacts in assessing whether the itinerary should operate. However it is also your own responsibility to acquaint yourself with all possible relevant travel information and the nature of your itinerary. You acknowledge that your decision to travel is made in light of consideration of this information and you accept that you are aware of the personal risks attendant upon such travel. To the fullest extent permitted by law: any liability for any loss, death, injury or damage which you may suffer (directly or indirectly) in connection with or arising out of your participation in a trip, or any breach of the Booking Conditions, is excluded; you release us and our officers from any liability and expressly waive any claims you may have against us arising out of or in connection with your participation in a trip; and any condition or warranty which would otherwise be implied by law into these Booking Conditions (Implied Warranty), is excluded. Our group trips are run by a two guides – Andrew Kikeros and Rachel Dillon. Their decision is final on all matters likely to affect the safety or well-being of any person participating in the trip. If you fail to comply with a decision made either guide, or interfere with the well-being or mobility of the group, the guides may direct you to leave the trip immediately, with no right of refund. You must at all times comply with the laws, customs, foreign exchange and drug regulations of all countries visited. The guest making the booking is responsible for their own and their party’s actions. If On The Verandah deems you or your party’s actions to cause danger to other guests or our staff, to intervene with other clients’ enjoyment of the trip, or to be offensive to the local communities and cultures, On The Verandah reserves the right to remove you from the tour effectively immediately. No refund will be supplied. You must let us know at the time of making your booking if you have special requests or needs (access or specific dietary requirements). We will try to meet any request you have, however, we cannot guarantee that we will be able to accommodate every person’s needs and we take no responsibility for those which we are unable to fulfill. If we reasonably feel we are unable to satisfactorily accommodate your particular needs, we reserve the right to decline the booking or ask for you to be accompanied by a person who is able to provide full assistance to you throughout your tour. All bookings are made with On The Verandah. By booking a trip with us you are deemed to have agreed to these Terms and Conditions and your booking will be accepted by us on this basis. Prices for 2019 tours are inclusive of GST and are valid from 1st October 2018 to 30 August 2019. On The Verandah reserves the right to alter prices and make discounted offers in order to fill tours. Discounts may be available for members of some clubs with whom we have agreements. No concession rates are offered for children, Seniors Card or Student Cards. You are required to pay a minimum deposit of $500 for your booking to be confirmed. If your booking is made less than 90 days from the departure date then the full amount is payable at the time of booking. Payments can be made by instalments after the initial deposit. The final payment is due no less than 90 days before the departure date. If this balance is not paid on or before the due date we reserve the right to treat your booking as cancelled. To receive an early bird discount, the final payment is due 120 days before the departure date. If you need to cancel for any reason, we will provide a full refund if you notify us 90 days or more before the commencement of the tour. If you cancel more than 45 days but less than 90 days before the commencement of the tour, a cancellation fee of $500 will be charged and the remainder will be refunded to you within 7 business days of you notifying us. If you cancel more than 14 days but less than 45 days before the commencement of the tour, a cancellation fee of 30% of the tour cost will be charged. If you cancel less then 14 days from the commencement of the tour, fail to show, or leave the tour once it has commenced, the full value of the tour will be forfeited. It is advisable to take out cancellation insurance at the time of booking which will cover cancellation penalties in certain circumstances. *This amount can be credited to another tour occurring within 18 months of the cancelled tour. As is normally the case with group tours, a minimum number of bookings is required in order for a tour to be financially viable and to have a good group atmosphere. In the event that adequate numbers cannot be achieved, it may be necessary to cancel a scheduled departure and to offer the nearest possible alternative date, an alternative itinerary, or a full refund of monies. If On The Verandah decide not to operate a tour we endeavor to notify all guests as early as possible (we aim for 12 weeks before tour commencement date) and it will be no less that 8 weeks (60 days). All booked guests will be notified and offered refunds or rescheduling. In this situation guest monies will be returned within 7 business days. We are not responsible for any incidental expenses that you may have incurred as a result of your booking such as hotel reservations, visas, vaccinations or non-refundable flights. Your airline may provide a credit for flights that are cancelled with more than 24 hours notice.We strongly encourage guests to take out travel insurance and that you ensure that you are covered for all costs incurred by such a cancellation. If you wish to change tours you must inform On The Verandah as soon as possible. Changes are subject to availability on other tours. If there is no availability, the usual cancellation policy applies. Itineraries are subject to alteration without notice and intended as a guide only. Alterations may come about due to road, weather or tidal conditions, strikes or other reasons. Due to the nature of the terrain and remote areas, weather fluctuations can adversely affect road conditions which may necessitate alterations to itinerary with little or no notice. Any additional expense incurred by the passenger is not the responsibility of On The Verandah and On The Verandah will not be liable for failure to make connections with any other services or attractions beyond its control. As is normally the case with group tours, a minimum number of bookings is required in order for a tour to be financially viable and to have a good group atmosphere. In the event that adequate numbers cannot be achieved, it may be necessary to cancel a scheduled departure and to offer the nearest possible alternative date, an alternative itinerary, or a full refund of monies. 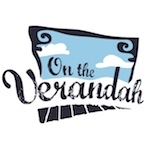 The latest date on which On The Verandah will decide not to operate a tour is 8 weeks before the scheduled departure date and all booked guests will be notified at that time and offered refunds or rescheduling. Activities not included in the trip price and undertaken by you on any ‘free day’ in the itinerary do not form part of the trip or this contract. You accept that any assistance given by your On The Verandah guides or local representative in arranging optional activities does not render us liable for them. Although we have made a concerted attempt to verify the accuracy of statements made in our trip documentation including brochure, website and itineraries, we cannot be held responsible for any error, omission or unintentional misrepresentation that may occur. If you have a complaint about your trip please inform your guide at the time in order that the they can attempt to rectify the matter. If satisfaction is not reached through these means then any further complaint should be put in writing to us within 30 days of the end of the tour. Unless you inform us otherwise, we will assume that you agree to us using images of you taken during the trip for advertising and promotional purposes. We promise to only ever use images that do not present anyone in an unflattering way. We will not pay you compensation where we are forced to make a change or cancellation as a result of a Force Majeure or if required to change or terminate the arrangements once the tour has commenced. If this situation does occur we regret we will be unable to make any refunds (unless we obtain any from our suppliers), pay you any compensation or meet any costs or expenses you incur as a result. “Force Majeure” means any unusual and/or unforeseeable situations outside our control, the consequences of which could not have been avoided. These include but are not limited to) unavoidable technical problems with transport, changes imposed by rescheduling or cancellation of flights by an airline, war or threat of war, civil strife, industrial disputes, natural disaster, bad weather, epidemic, terrorist activity, or significant building work going on outside your accommodation unknown to us before your arrival and of third party, eg. Resort building work. “Tour” means except where stated, the accommodation, transport and/or all other holiday-related products and services that we are providing you with under this booking that are booked before your departure. “Tutor” means one that offers private instruction to the participants of the tour/workshop/retreat offered by On The Verandah. “Workshop” means the discussion, activities, demonstration and one on one teaching provided by the tutor as per the specific itinerary for the tour on which you are booked.